US Bank is one of the largest consumer banks in America, and they offer plenty of value to their customers. Are they the right bank for you? 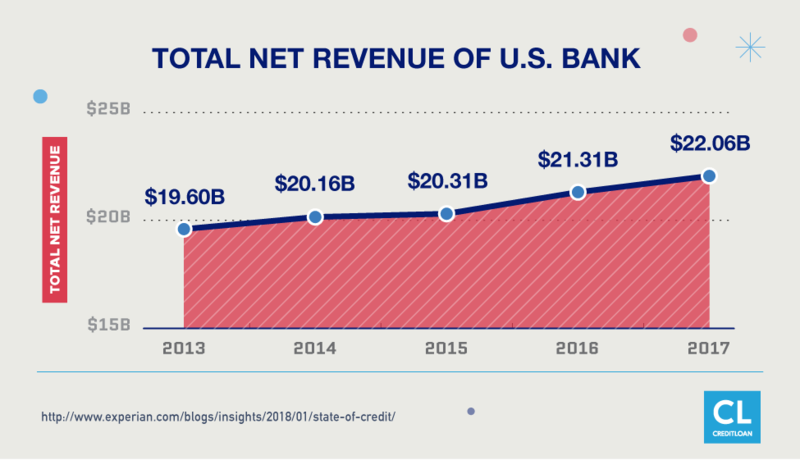 U.S. Bank can afford to offer a broad range of banking products and services. It has checking and savings services that fit every lifestyle, and combining these options can be your best deal. This review offers a deep dive into the nitty gritty of U.S. Bank, with nuanced coverage of its many products, and analysis and reviews from experts and real customers. 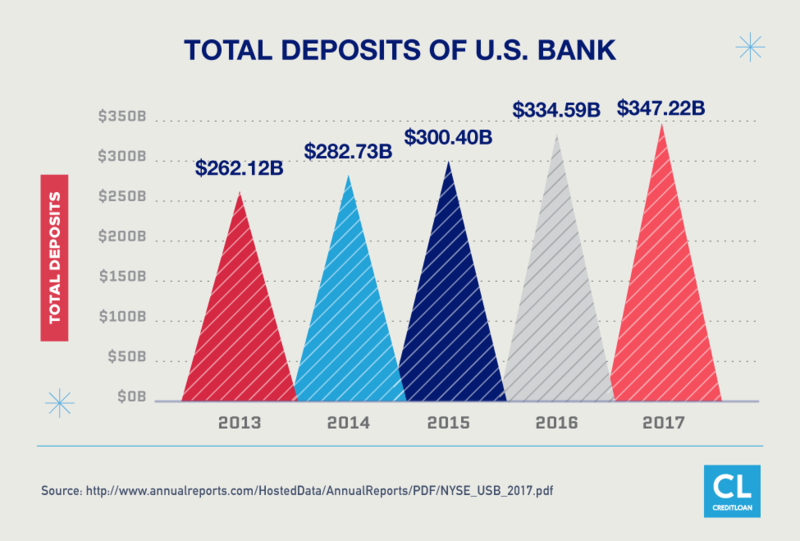 U.S. Bank has been around since 1863 and is the fourth largest commercial bank by branch count, with 3,013 branches and 5,323 bilingual ATMs spread around the midwest and west coast of the U.S. Unfortunately, few branches exist on the East Coast and in the South. Some products and services offered by U.S. Bank differ state to state. Investment options are one example. You can search the U.S. Bank website using your state to determine which products are available to you. Tried and true—a good choice if you're concerned about long-term stability for your money. Convenient to many U.S. locations (if you're NOT on the East Coast or in the South)—and a good choice if you prefer in-person banking. Car loan experts love the bank's low-interest rates, which can be as as little as 2.74% APR. Would you fit in at U.S. Bank? U.S. Bank appeals to traditional banking customers who value streamlining their finances into one institution with many different services. Third party reviews of U.S. Bank generally rate it 3 out of 5 stars. 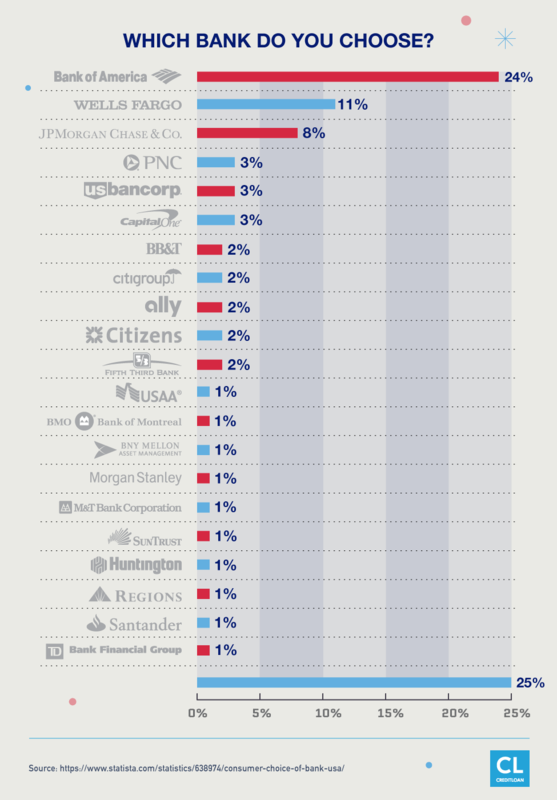 However, customers aren't very satisfied with their experience at U.S. Bank. Consumer Affairs rates U.S. bank with only 1 out of 5 stars for overall satisfaction based on customer ratings and reviews. Many of the reviews cite poor customer service in response to unforeseen fund problems. We explore these shortcomings in our section about U.S. Bank's weaknesses and consumer complaints. 1. U.S. Bank checking accounts for every lifestyle–including yours! Trying to decide which U.S. Bank checking account to open can feel a lot like a bad game show—choose wrong and unexpected fees can hit you like a cream pie to the face. Unfortunately, U.S. Bank's inconvenient monthly checking fees can add up to as much as $240 a year in wasted money. To avoid painful surprises, we've put together a cheat sheet to help you choose the checking account that best fits your lifestyle and current financial status. Safe Debit Account: This account is for the minimalist who prefers to handle finances digitally. Student Checking: This account is for students only. Easy Checking: This account is a U.S. Bank's standard checking account. Silver Checking Package: U.S. Bank's most popular option. Gold Checking Package: This account is for those who also need credit or loans. Premium Checking: This account is a great deal for senior citizens. Platinum Checking Package: The luxury vehicle of U.S. Bank's checking fleet—but it'll cost you. Opening a U.S. Bank checking account is fairly convenient. If you're 18 years or older and a legal U.S. resident, you can apply online, by phone at 800-239-3302, or in person at any U.S. Bank branch. Each account holder will need to show proof of a Social Security number and a driver's license, state ID, or military ID. Choose the checking account that works best for you based on which perks you'll use and which account balance requirements you'd normally meet. Meet the balance or deposit requirements to avoid monthly fees. Take advantage of offers to add a fee-free money market account. Use U.S. Bank for more than one financial product. Your checking account may qualify you for a lower interest rate on loans. Sign up for direct deposit to get the fastest access to your paychecks. U.S. Bank's monthly checking account fees are a bit higher than other banks. They currently range from $4.95 to $19.95, whereas TD Bank's monthly fee is just $5.99 and has no minimum balance requirement. Still, while U.S. Bank's fees are tough to avoid, it's not impossible if you're in the know. The bottom line is that U.S. Bank's checking account is not its most desired or valuable product (other banks offer lower checking fees). But if you can easily meet the minimum balance or product combination requirements, your carefully chosen checking account may work for you. U.S. Bank's savings accounts are designed for all varieties of banking customers. They range from basic savings accounts to money market accounts and combo accounts. A U.S. savings account generally offers low interest rates to customers compared to other types of investment accounts. But, savings accounts require less commitment and less capital. Determining the difference between a savings account and money market account is like choosing between wheat bread and whole wheat bread—at first glance, they look the same. SimpleDollar says, "For most people, a money market deposit account is essentially equivalent to a savings account. At your local bank, the money market account is probably a substantially better deal, as local brick-and-mortar savings accounts offer atrociously low interest rates." The major difference between the two is how the bank is allowed to invest the funds—but this doesn't translate into much of a difference for customers. U.S. Bank's savings accounts currently offer a .01% interest rate, while their money market accounts currently offer at least a .04% interest rate. If you deposited $100 in each type of account and left it alone for 10 years, you would earn only $1 from the savings account, and $4 from the money market account. Clearly, both these accounts are more for tucking away your savings safely than for investing them to gain profit. If you have a U.S. Bank Silver or Gold checking account, you can also choose a Package Money Market Savings, which only requires a $25 minimum opening deposit. With a Platinum checking account, you can also get a Platinum Select Money Market Savings, which is almost identical to the basic money market, but initially offers a higher bonus interest rate for the first 12 months. Having both these types of accounts can eliminate U.S. Bank's higher account fees. As with all savings account choices, make sure to look at the monthly fees, required minimum balances, and required monthly deposit frequency and minimums before deciding which account is right for you. Savings and money market accounts from U.S. Bank don't offer much in interest (01% – .10%). This means it's even more important to maintain any required minimum balances to avoid monthly fees. For instance, if you're not careful, the $10 monthly fee on U.S. Bank's Money Market and Elite Money Market accounts could eclipse any interest you earn—you'd actually be paying the bank for their storage and temporary use of your money. You may also want to consider committing to a more long-term investment account that would bring higher returns on your savings. Check out IRAs and CDs to find higher profits, but keep in mind that your money won't be as easily accessible. The bottom line is that U.S. Bank's savings and money market accounts are standard fare. If you're already planning to use other U.S. Bank products, it might streamline your savings process by choosing a U.S. Bank savings account. However, if you're looking for the most interest on savings that remain accessible, try an online-only bank. Reviews says, "All of the top traditional banks offer interest rates of 0.01%—considerably lower than the 1.05% available with leading online-only banks." Choosing one of U.S Bank's 34 personal credit cards is a daunting task. But the right U.S. Bank credit card can help you build credit, earn free travel or purchases, and even earn money. What kind of rewards do I want from my credit card? To find the right U.S. Bank credit card, check out this breakdown of the types of U.S. Bank's credit cards to find the one that best meets your needs. Getting a U.S. Bank student credit card is advisable if you're going to also open a checking and/or savings account with U.S. Bank. The package deal grants discounts and lower fees on your accounts, which makes the credit card's average benefits look better. There are several U.S. Bank student credit cards. Each offers different benefits, according to U.S. Bank. Whether you're just starting to build up your credit or re-establishing it after a financial meltdown, a secured credit card can help. This type of credit card doesn't require a credit score for approval. Indeed, almost any applicant can qualify for a secured credit card because the cardholder is essentially adding money to a card and then using it as he or she sees fit. It's a win-win in that the bank is protected against the risk of default, you're unable to overspend, and your credit score reaps the benefits of responsible credit card usage. If you use the U.S. Bank Secured Visa Card responsibly, you can rebuild your credit because U.S. Bank reports your payment history to the three major credit bureaus. Take advantage of this golden opportunity to rebuild—or establish—credit. If you're focusing on rebuilding your credit, you want to make sure your hard work and responsible monthly payments are being reported to boost your credit score. U.S. Bank also offers different types of secured travel rewards credit cards. You can sign up for a credit card with travel reward points linked to Aeromexico, LATAM airline companies or Korean Air. When you're trying to get out of debt, high interest rates can make the uphill climb take twice as long. U.S. Bank has introductory APR credit cards that offer lower interest rates on your credit card balances for a specified amount of time. Some cards offer cash back rewards, and some offer points towards purchases at specific retail stores. However, few of U.S. Bank's credit cards stack up well against other banks' credit cards. The value of most U.S. credit cards is in combining them with a loan, checking account, or savings account to get lower fees and rates. If you use multiple U.S. Bank products, choose the U.S. Bank credit card that will best help you reach your financial goals and offer the rewards you'll use the most. Deciding the best way to safely increase your savings can be a challenge. There are a variety of CDs and savings options. Customers looking for a solid way to save who don't need access to their savings for a given time will usually gain more in interest from a CD account. No matter how hard you look, you won't find an investment more boring than a Certificate of Deposit. With a CD, you get a set interest rate for that period of time that will not change no matter what happens to interest rates. You are locked in until maturity of the term length, although you can usually choose to withdraw from the CD early for a penalty that is normally equal to 3 months' worth of interest. All U.S. Bank CDs are FDIC insured, and offer different interest rates depending on how long you can leave your funds in the CD. But, their interest rates are generally lower than that of their competitor. For example, the current interest rate on a 19-month U.S. Bank CD account is 0.5% APY. EverBank's 12-month CD account's interest rate is currently more than double that at 1.15% APY. You can apply for a U.S. Bank CD online, by phone, or at a local bank branch. After you apply, it typically takes 2-3 days to process your application. Here's the link to U.S. Bank customer service. Although customers who use other U.S. Bank products may prefer the convenience of investing in a CD with the same institution, there are much more lucrative CDs out there. One review site stated that U.S. Bank CDs are some of the lowest yielding CDs you will find on the market. Mobile banking offers speed and convenience, and is a must-have for those who prefer to bank on the go. The U.S. Bank mobile app is rated between 3.3 and 3.8 out of 5 stars with users on Amazon, iTunes and Google Play. Customers complain about its fees, but appreciate its broad capabilities. If you're looking for a banking app that doesn't charge fees for making mobile deposits or choosing quicker payment delivery options, the U.S. Bank app might not be right for you. 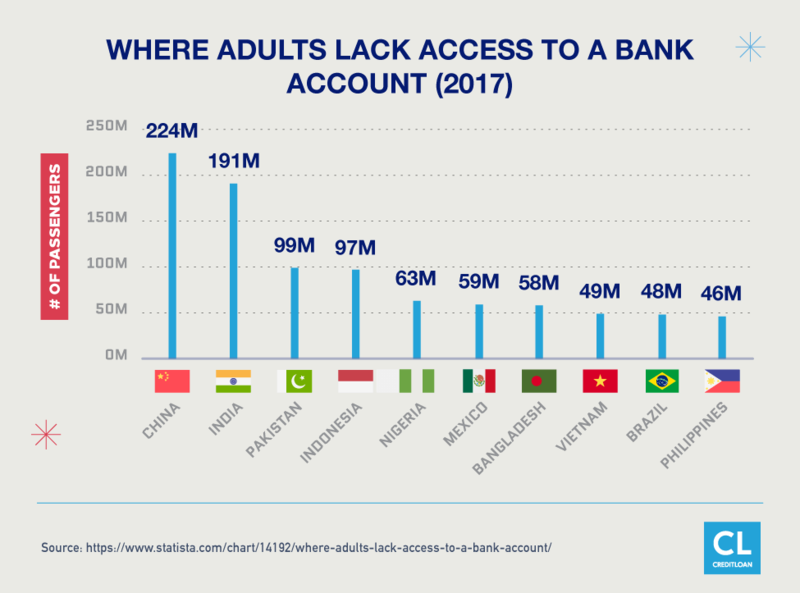 But the U.S. Bank app offers functions that could be too good for an account holder to pass up; PhotoBanking and the ability to manage all your U.S. Bank accounts from the palm of your hand are major conveniences. U.S. Bank offers standard security features like automatic website and app logouts, fingerprint security and chip technology. You can also choose to get a text message or email whenever U.S. Bank is about to make what they believe is an unauthorized change to your account, you can easily go on the website to sign up this alert service online. This protects you from losing funds to fraud if someone gets your password. To make the most of U.S. Banks most popular digital banking features, we made this handy list of do's and don't's. Transfer Money Use it to transfer money to/from any of your accounts in any institution. Use "Next Day Delivery"—inbound transfers have a $5 fee per transaction. Account Alerts Use optional payment reminders and balance alerts for all accounts, debit and credit cards to help keep finances in order. Forget to set up all the alerts. Most alerts are optional and you'll need to take initiative. Online Statements Sign up to reduce paper filing and monthly fees, and to easily access past statements. Forget to check your email inbox, or to download statements for storage back up. Pay Bills Automate regular bill payments to make sure they get paid on time. Allow your checking account balance to get too low. Avoid overdrafts. Send Money Use "Pay a Person" to send money using someone's email, phone, or account info without hidden fees. Pay the hefty fees to send cash through Western Unions unless that's the only way to send it. Deposit Checks— Only available in the app (not online) Use DepositPoint app feature if you need to deposit a check ASAP and can't get to a branch. Waste your money on the $.50/check fee unless the deposit is really urgent. Small Business Payroll Services Use the free Paycard Solutions. Sign up Pay fees for more payroll services than you really need. U.S. Bank also offers other loans and investment services, but it doesn't stand out from the competition in this department. Still, while the bank isn't known for its loans, if you combine a U.S. Bank checking account with a loan, you may get a better deal. For example, if you maintain a U.S. Bank auto loan, home equity loan, or personal loan your Gold Checking monthly maintenance fee of $12.95 will be waived. U.S. Bank offers a complete catalog of fixed- and adjustable-rate mortgages. They have no origination fee. Also, if you already have a U.S. Bank Platinum checking account, you may qualify for up to a $1,000 discount on mortgage fees. U.S. Bank's auto loans were noted in The Simple Dollar's Best Auto Loans for 2017 as one of the "Best of the Big Banks," and as of April 2017 have rates as low as 2.74% APR. To find the best loan for you, compare interest rates and payment time with how much you'll be able to pay per month. To decide if a given U.S. Bank loan is best for you, follow this tip from MoneyManagement: "In general, take the loan with the lowest interest rate/APR and loan term as you can afford the monthly payment." And remember, if you can, always look into combining a loan product with a checking or savings accounts to minimize fees. U.S. Bank offers small businesses several business banking services and products. These include savings and checking accounts, credit cards, online banking, loans, and lines of credit. If you prefer to talk with a live person when banking for your business and you work near a U.S. Bank, its small business products may be worth your while. The bank offers tools for many small business needs—from accepting payments in all forms, payroll processing, to financing necessary equipment. Check with a certified financial planner to determine the best investment products for you. U.S. Bank also offers discounts to customers who sign up for more than one of their banking products or services. With their Silver, Gold, and Platinum Checking packages you'll also get the opportunity to enjoy reduced or eliminated monthly fees on savings, and preferred rates for new loans. Like most banks, U.S. Bank offers sign-up bonuses for some of their products. These bonus plans for signing up change often. Be sure to check the U.S. Bank website or your local branch for the latest promo. To get the most from your U.S. checking account, go for a package deal that adds savings and loan services. People love the convenience of U.S. Bank's many physical branch locations and ease of signing up for banking services. Most sites where customers can review U.S. Bank included more negative reviews than positive reviews. Remember, it's always easier to find the energy to lodge a complaint than to give a compliment. Ranks up there with some of the worst customer service I've ever received. All I wanted to do was log into my credit card account but access was denied. So over the course of 2 hours, I was transferred from tech support to the fraud department back to tech support than told to call customer service who said call tech support who transferred me to the fraud department (again) who then transferred me to U.S. Bank (what??!!) who transferred me to customer service who transferred me to tech support. I'm not exaggerating when I say I was on the phone for 2 hours. I opened an account with U.S. Bank after having to switch my account with them. While I heard horror stories, I never thought they would be as bad as people say. Upon opening my account I deposited a check in the bank and the money didn't transfer properly. They assessed me a $36 fee. My account was negative $1.88. They didn't take money from my savings to compensate the negative. They charged me 2 $36 fees. When I asked why was I charged they advised me because the account was negative. When I asked why didn't they take it from my savings they advised I didn't have that option set up. I went into a branch, showed the branch manager I had that service setup and was advised there was nothing they could do to waive the fees. Call Customer Service—there's a different phone number for each product, so look up the specific product's contact info. Here's that link to U.S. Bank customer service! Visit a local U.S. Bank branch location — find yours here. Different U.S. Bank services have various procedures and limits for canceling. If you cancel before your commitment period ends, you may be charged fees or you may not earn the reward or bonus you expected. For example, U.S. Bank's requirements for the Silver Checking Package state: "To be paid the goal reward and/or bonus, both the associated Silver Checking Package and Package Money Market Savings account must remain open through the program end date, which is 12 months after the enrollment date." How much money do I need to open a savings account at U.S. Bank? A $25 initial deposit will allow you to open a savings account, but you'll be charged $4 per month in fees unless you can keep your daily ledger balance above $300. Are U.S. Bank rewards (like $50 for opening a checking account) taxable? If it is classified as taxable income, U.S. Bank will send you a 1099-MISC form. What does U.S. Bank do to keep my accounts secure? U.S. Bank implements security measures according to federal and industry standards. These include network firewalls, Secure Sockets Layer (SSL) encryption for online sessions, dedicated security teams, and secured files and buildings. When will my deposit post to my U.S. Bank account? Cash deposits to U.S. Bank accounts will post immediately. Checks deposited before 8pm on a business day at an ATM will post the same day; after 8pm they will post to your account the next business day. If you're using the mobile app to deposit, and you deposit your check before 9pm CT, the amount will usually be available the next business day. What is U.S. Bank Bill Pay? Bill Pay lets you make payments to anyone with a mailing address in the U.S. from your U.S. Bank checking account. Once you've signed up for Bill Pay, you can make payments with the U.S. Bank Mobile app or Mobile Web. What documents do I need to bring to the bank branch to open a small business account? You'll need your business's tax ID, the Article of Organization (or similar legal document to show how your business is formed), government-issued photo IDs, Social Security numbers for anyone who will need account access, and lastly, legal documentation regarding your business structure (sole proprietorship, corporation, non-profit, etc.). U.S. Bank can certainly meet most of your banking and financial needs. But to win your loyalty and business they'll have to work hard to improve their relatively high interest rates, hidden fees, and reputation for poor customer service.